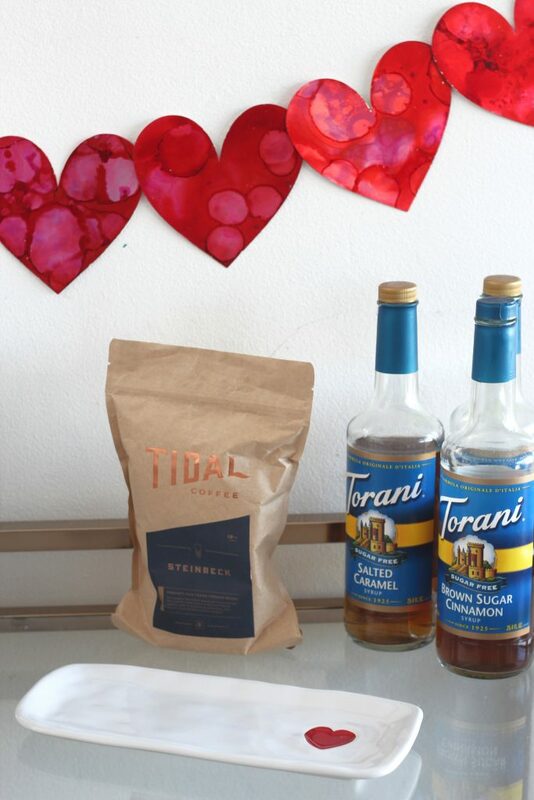 Feeling the love yet? 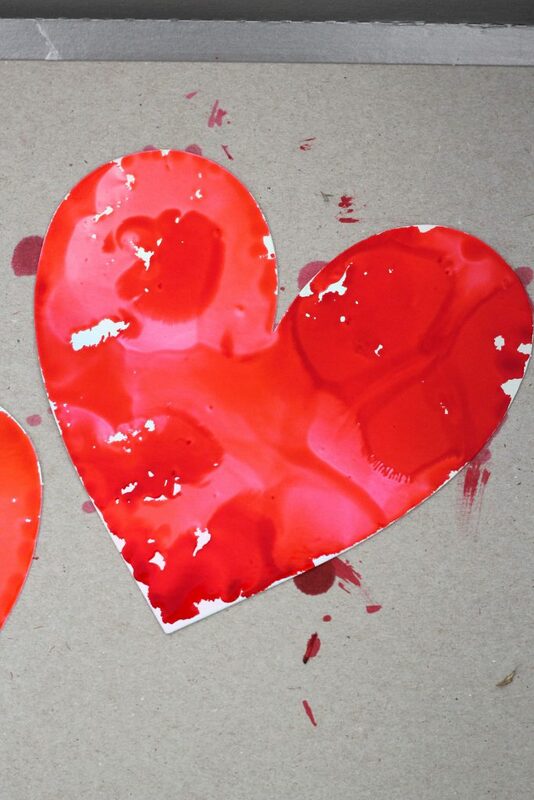 You will when you create these alcohol ink Valentines hearts. They can be used as cards, a banner or to decorate anything! 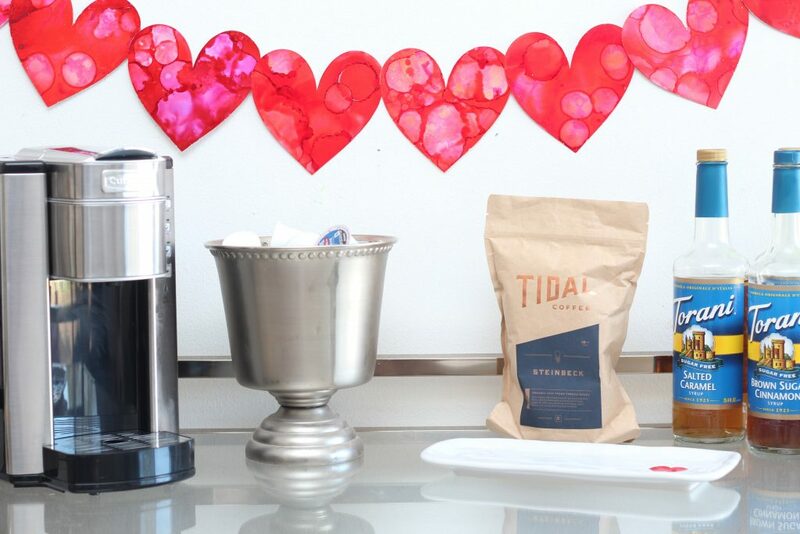 Since February is right around the corner (I know, I can’t believe it either) I wanted to do a little Valentine’s Day crafting. 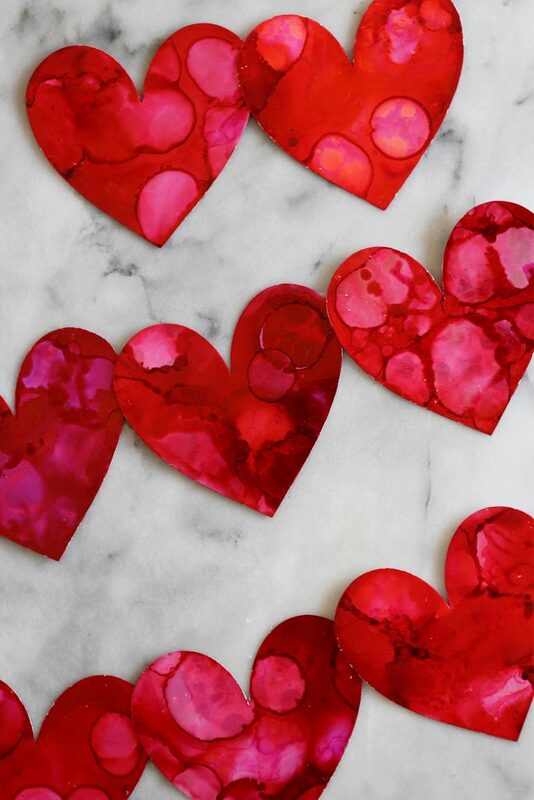 Valentine’s Day decorations have nothing on Christmas decor, but I really enjoy decorating hearts and making paper crafts. I found these metallic heart cut-outs in the Target Dollar Spot. I wish they didn’t have the Dollar Spot front-and-center to where I walk in to my local Target, because I can’t help but browse there and buy all the stuff I really don’t need. It’s so fun though! 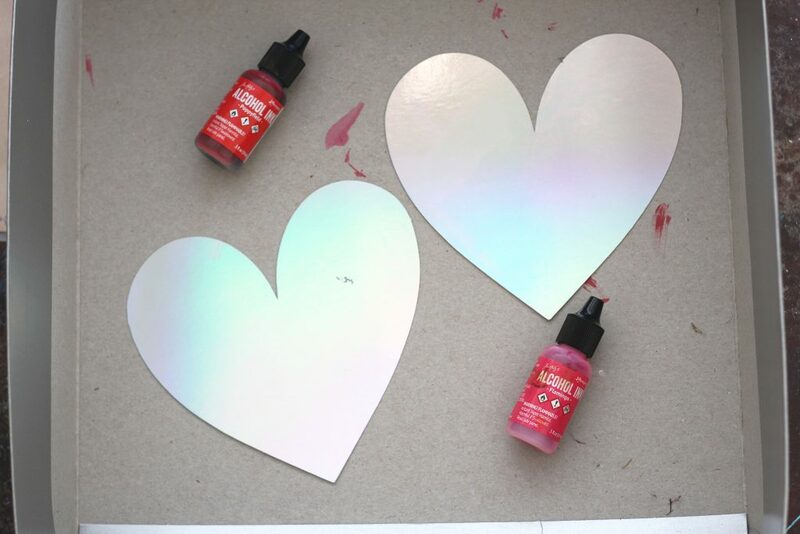 Anyway, the metallic paper hearts are perfect for using alcohol ink on. The reflective surface of the paper means that the alcohol ink won’t absorb into the paper. I have bought very similar “special” alcohol ink paper before and it was exactly the same. 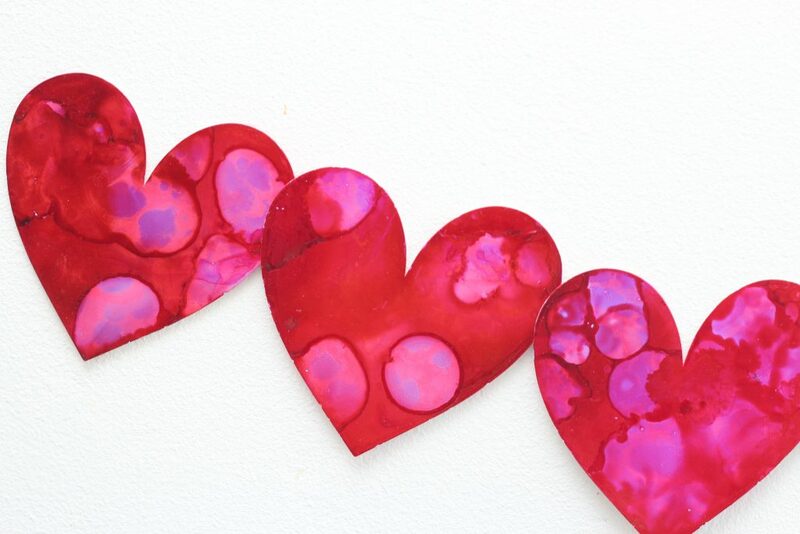 For the hearts, I used two different colors of alcohol inks, Poppyfield and Flamingo. I also pulled out Purple Twilight, but I didn’t use it. 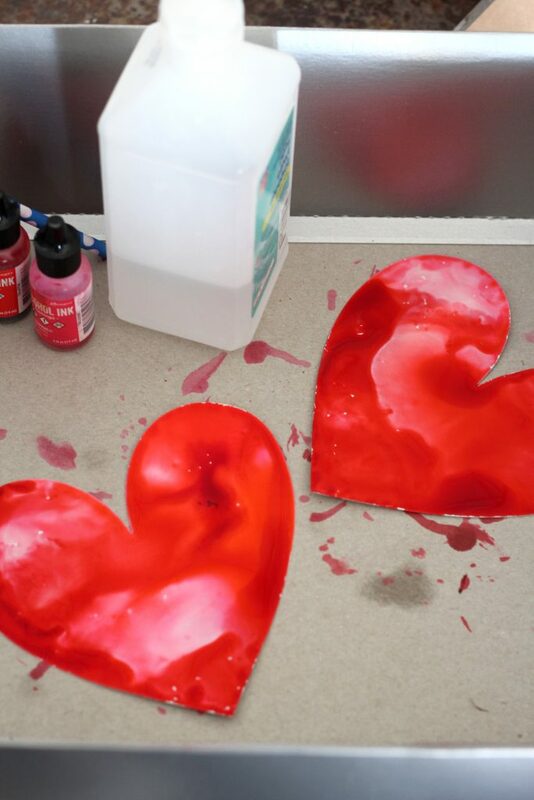 Over a protected surface (a used gift box in my case) place the metallic cardstock hearts and drip the lighter colored alcohol ink on to the hearts. Continue until you have the hearts you your desired coverage. Add the darker color to the hearts sparingly. Let dry on a flat surface. 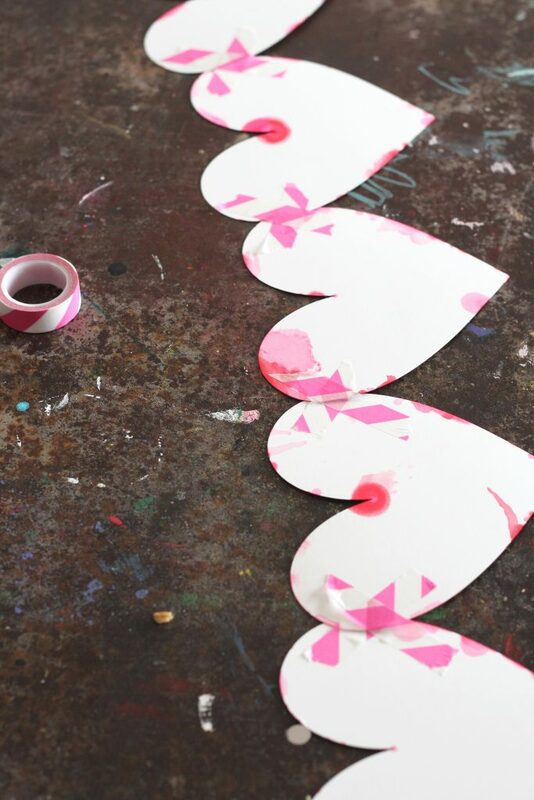 I used washi tape to tape the hearts together to create a banner. 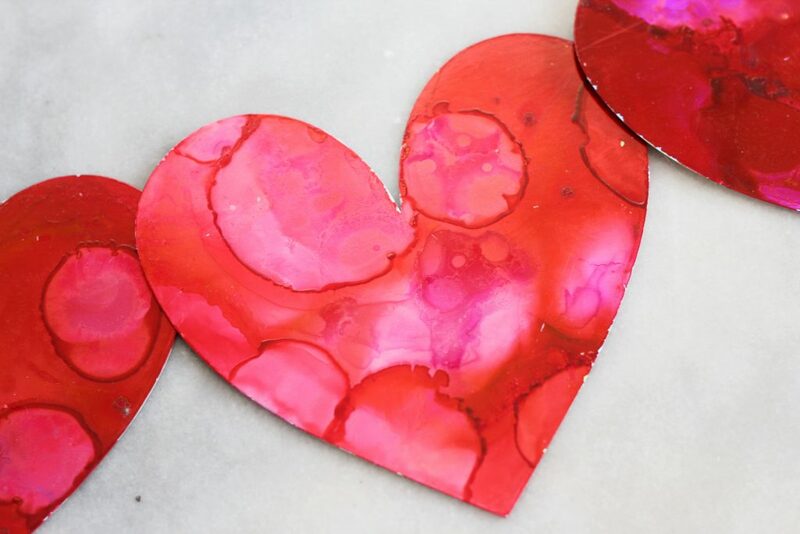 In a well ventilated area, drip the lighter colored alcohol ink all over the metallic paper. Let it dry slightly, then add more. Start adding the darker color, but use sparingly. Drip blending solution on the paper to create fun effects. Let dry completely on a flat surface. These are so pretty. I want to play with alcohol ink! I love the richness of the color you created.